Don't miss out on our regular updates, contests, and giveaways! Propane vs Charcoal Smoker: Which is the best? Are you fond of having your family and friends over for barbecue parties? Make the moment more special and the cooking process more convenient by upgrading your traditional smoker to the best pellet grill under 1000. This type is capable of delivering a more diverse grilling experience. Pellet grills are operated using small compressed pellets derived from wood. These pellets are then burned to fuel the smoker. Therefore, if you have decided to go for this kind, it would be ideal to aim for the best pellet grill under 1000. 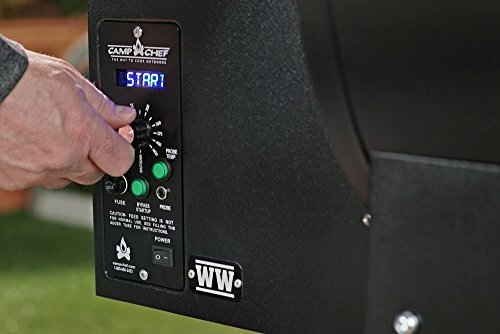 The Camp Chef Woodwind Pellet Grill with Sear Box is one of the highly recommended products you’ll find in the market. There are five key features of the Camp Chef Woodwind Pellet Grill that make it stand out among similar products. Most of the time, we spend a long period tending to our model during barbecue parties and miss out on the opportunity to socialize with our friends and family. With the model’s smart smoke technology, there’s no need to babysit the food anymore. There is an installed digital temperature control as well as an automatic pellet feeder to maintain the desired temperature inside. One more benefit is that the annoying smoke is minimized without compromising the quality of aroma and flavor. Simply set the unit and let it do the rest of the smoking. The pellet grill is also capable of many other functions. You can bake, braise, and roast your choice of food with just a single kitchen equipment. You can also select how you want to cook it with a broad range of temperatures. The temperature selector ranges from 160 up to 500 degrees Fahrenheit. The entire cooking area has a capacity of up to 570 square inches, with an additional warming rack on the upper deck. This pellet grill provides you with enough cooking space for the entire list of guests. You can easily load it with plates of briskets, jerky, and chicken. After all the fun during the barbecue party, one of the hardest things to do is cleaning the equipment and its parts. However, this is necessary so that it will be ready again for the next cooking. This daunting task has been made easy with the Ash Cleanout system provided by the Camp Chef Woodwind Pellet model. This technology gives you more time to enjoy your company and hard-earned food, rather than spending a long time cleaning both the interior and exterior parts. You will not be able to perfect searing without the sear box included in the product. The sear box has been made to sustain a temperature of up to 900 degrees Fahrenheit in order to achieve a crisp and perfectly caramelized sear. Grill all you want and then transfer all your meat on the sear box for a heavenly finish. With the single press of a button, you can already cook the food you want any way you want it. You don’t need to light it up using a traditional lighter or a matchstick. Just push the button, manipulate the controls, and let the machine take over the entire cooking process. Setting up a traditional grill takes a lot of time and process. With one of these products, you just need to wait for about 10 minutes to light up the grill and your meat is ready to be cooked. This allows people with busy schedules to still have a relaxing barbecue party without taking up too much of their time. The flavor of the grilled meat is of a natural wood-smoked flavor. There is ease of use and zero need for a steep learning curve. Fuel use is efficient and it burns an average of 1lb. of pellets every hour of cooking time. Propane tanks need not be transferred. The controls are automatic, which means they can run even though you don’t tend it. It offers a versatile choice of cooking. Usage doesn’t depend on the weather. You can cook regardless of the climate or weather. Food will not be over-smoked with its automatic system that denotes when the meat is already cooked. It is highly-suitable for busy people and those who want to be a great host and cook. You will get a grill and smoker for the price of one. Every product has its downsides. Here’s a rundown of the drawbacks you can expect from the best pellet grill under 1000. It requires the use of electricity. Cooking with the grill is not recommended during the wet season. Grill grates are necessary to improve the searing function. There are moving parts that could easily fail when not taken care of. If you want a barbecue party that is both rewarding and relaxing, you need to say goodbye to your traditional grill and opt for the best pellet grill under 1000. Furthermore, Camp Chef offers a great warranty for the product you buy as well as a support system that can answer all your queries regarding the pellet grill. No grilling platform and mechanism can offer a variety of intense flavors, paired with flexibility and convenience. The best pellet grill under 1000 can give you an ease of usage with the aroma and flavor of natural wood to add up to your meat. You won’t want a grill that is high maintenance. 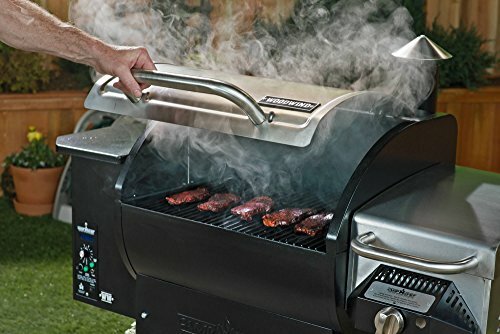 Why not get a reasonably-priced piece of equipment that can give you the most convenient grilling experience? If you still have doubts, you can also check our pellet smoker guide. Also make sure you take a look at our pellet guide for more interesting products. Don't miss out on our regular updates, contests, and giveaways.